I love the colors. What a great shot from the car too! Hope the first day of school (tomorrow?) is a success! What is it about mailboxes in a state of disrepair that I find so appealing? And, yes, the colors do make it more striking. Vivid colours. 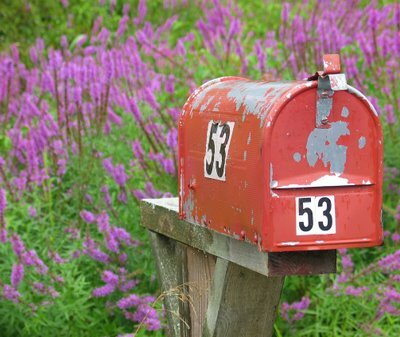 Noticed that mailboxes are big on blogs.